Time management games are perfectly designed to hold a player's interest for a short period of time. Players effectively allocate resources in real time, in consequential order to fulfill objectives, whilst reacting to incoming requests to gain rewards. Spend rewards to upgrade resources, then wait patiently for the upgrades to be constructed. Whether the player is managing a farm, an airport, or a planet, there are so many different environments for everyone to experience. So we’ve dedicated this listicle to 5 of the very best iOS that are perfect for on-the-go gaming. 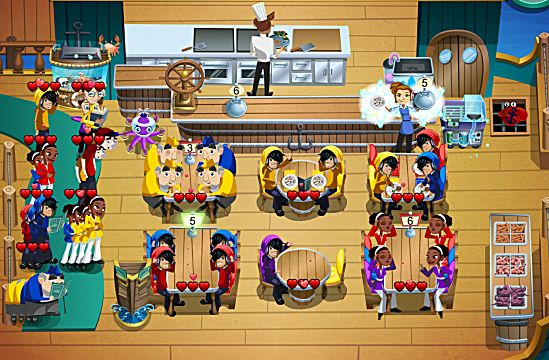 This is the iOS version of the popular game series Diner Dash, where players must seat diners as quickly and as effectively as possible. 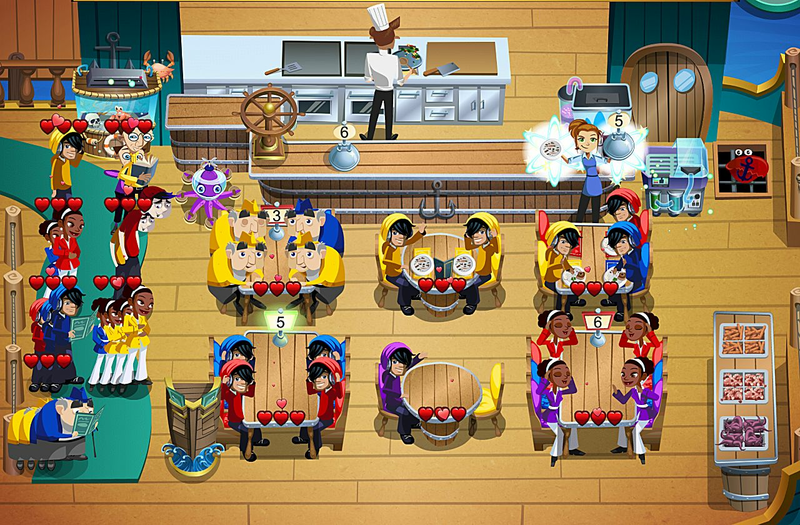 Players level up their diner to eventually achieve a 5 star restaurant, whilst striving to keep customers happy. Match the colour of customer's clothing to the diner's seat colours for an additional bonus. Undertake general café duties -- handing out menus, drinks and food. 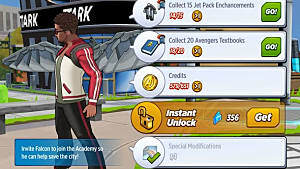 In order to proceed with the game, players can perform a Boost action by either spending the premium in-game currency, which unlocks coffee machines and other appliances that make the game easier; or sit and wait for the items to automatically unlock. The in-game currency is rare, so it’s worth the wait for items to unlock for free. The career mode for this game is perfect for on-the-go gaming -- as the name suggests, it's a dash to please all customers, then can be left to progress in the player's absence. Download Diner Dash for iOS for free. 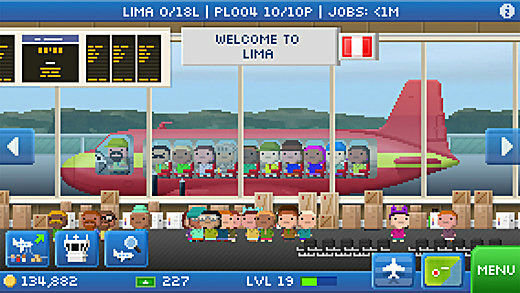 This is a great business simulation game, where players purchase and upgrade assets, such as airports, whilst ferrying passengers and assembling planes across the globe. Making money and leveling up ensures that more items can be unlocked and more luxurious items become available, such as a better quality plane. Players choose a starting region, with a small, humble plane, with the intention of expanding across the world. Assigning work to each winged vessel involves tapping selection buttons -- for example: which plane and to what destination. Select these carefully in order to maximise profit, as more money means the hangar capacity of the airport increases. Obtaining the in-game premium currency of bux is reasonably easy to acquire, as when players level up, or complete tasks, hidden bux may be found. Spending bux is useful for instantly completing journeys. 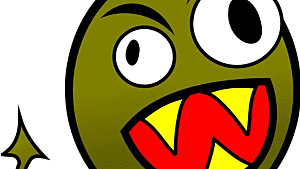 If players don’t decide to spend bux, then, like all time management games, it is just a case of waiting. This game is perfect for on-the-go gaming, as it automatically syncs progress to the iCloud, meaning whether the game is played on iPhone or iPad, its there for the player. Download Pocket Planes for iOS for free. This is a great time management game set in the Disney universe. The Kingdom has been overrun by dark magic, where Maleficent is the prime suspect. 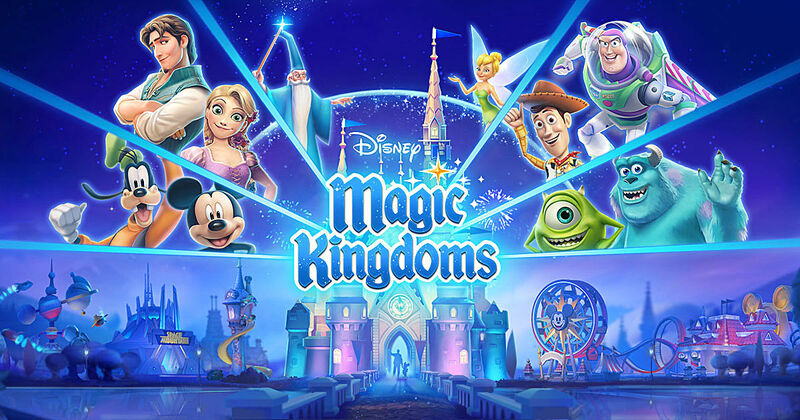 The Kingdom is an amalgamation of Disney parks and players are required to unlock adjoining ‘lands’, where rides, houses and restaurants can be built. The game is a light park simulation game, where players need to make as many visitors dreams come true as possible. 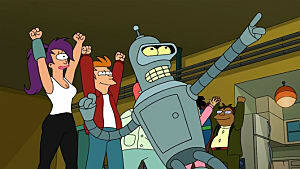 Characters gain Happiness when they reach their desired location and the game's progress is reliant on Happiness. Happiness contributed by characters that have left the park disappears, encouraging players to play often. Time is spent employing characters to perform tasks, which in turn produces the in-game currency of Magic, earns XP, levels up characters and produces superior items. 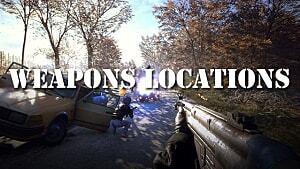 Actions take time to complete, which is beneficial in this game as characters can only perform one action at a time. It’s a great game for Disney fans. 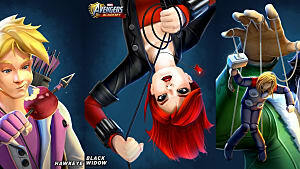 The social media interaction with this game is great for on-the-go gaming, as players can view friends' parks for inspiration and improvements, so the game can be considered even whilst players are waiting for unlocks. 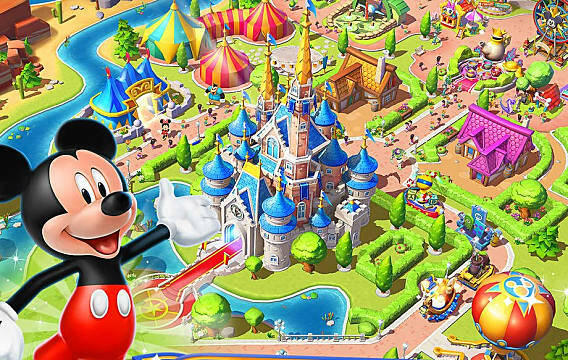 Download Disney Magic Kingdom for iOS for free. 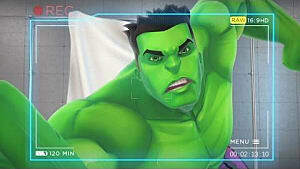 A fun time management game set in the Marvel universe. This game looks great and naturally has a ton of recognisable characters and a ton of content. 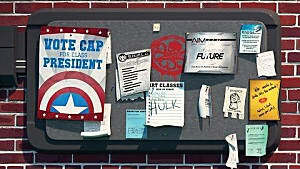 Nick Fury is recruiting teenage superheroes to an institution to educate and train them to combat super villains, who are being trained in the rival school, Hydra. To combat Hydra's nefarious schemes, more students are needed and the school needs to rid itself of a mysterious barrier called timefog. This allows more facilities to be built. Employ workers to conduct more tasks and to build more buildings. There are also mysteries in the game, such as why was the school was built so close to the timefog. If you keep building and keep waiting, it is worth the time to explore this fun game! The diversely timed missions make this game a great choice for on-the-go gaming, as players can set up longer timed missions, in the knowledge that they won't be able to check in for a while. Yet if a player has a few minutes to spare, they can complete some of the smallest missions too. 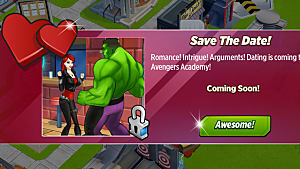 Download Marvel Avenger Academy for iOS for free. The illustrations in this game are simply beautiful. It is worth playing simply for the illustrations alone, as it's based in the universe of the author Beatrix Potter. Peter Rabbit is once again stealing vegetables from Mr. McGregor’s garden, but one day is forced to move away with his mother. Here, a new story unfolds, where the Rabbit family dig plots, plant crops and await their growth, whilst building various structures to provide income. Grown crops can be sold in a variety of locations and this unlocks other characters from the novel series, such as Mrs Tiggywinkle. 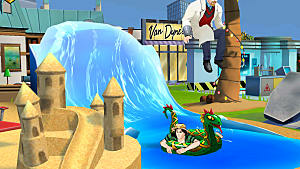 To ensure the other characters stay around, buildings must be constructed before a timer expires, or they will have to be re-recruited at a later point. There is a degree of stealth, as Peter still continues to pillage from Mr McGregor. This is really cute twist on a farming time management game. This game is great for on-the-go gaming as it is a lovely simplistic, indie game to play for 5 minutes, whilst players appreciate the gorgeous illustrations and visual treat for the eyes. All the while, your childhood is reminisced about. 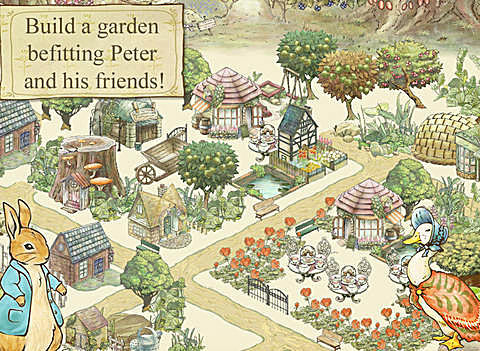 Download Peter Rabbit's Garden for iOS for free. 5 brilliant and very differently themed iOS time management games. Whilst games may share a theme or sub genre, for example, farm management, even within that there is enough differentiation between the titles, as well as each being high quality, for a five minute distraction. 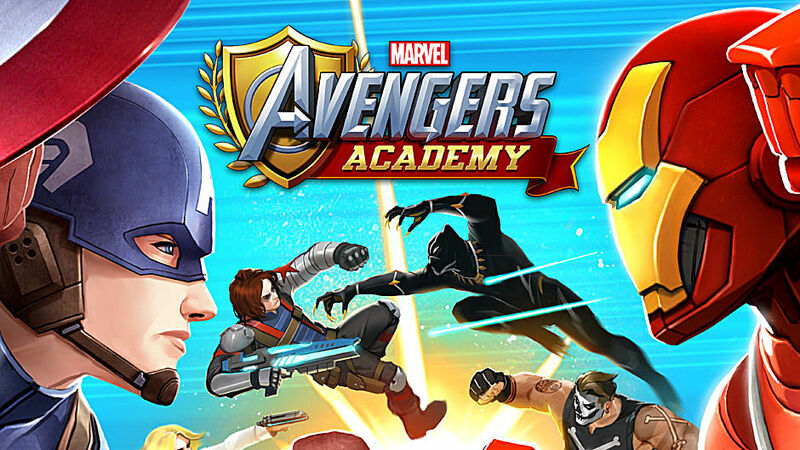 MARVEL Avengers Academy: Tips, tricks, and how to save your money!